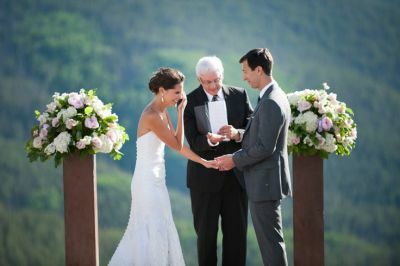 Does Your Denver Wedding Ceremony Need A Sound System? You've worked hard on every aspect of your wedding ceremony. It is the most important day of your life. Don't take chances, hire Narrow Gauge Sound to make sure your family and friends can hear every single word! 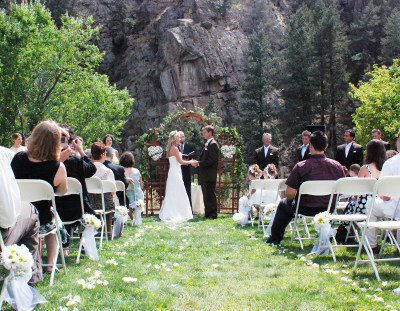 Outdoor wedding ceremonies in Denver can sometimes by breezy and loud. 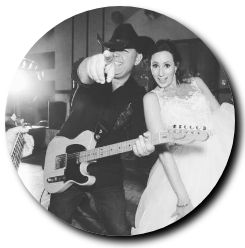 If you want everyone to hear the special music you planned and take in every word of your vows, you need an experienced sound team that specializes in wedding ceremonies. We'll make sure nobody misses a word! Narrow Gauge Sound has provided top notch sound systems for 500+ weddings. We have the experience you demand for such an important event. 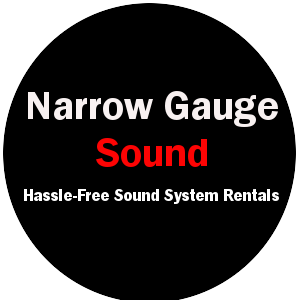 When you hire Narrow Gauge Sound, you won't have to worry about a thing. We will deliver, set it up, and operate for the sound system for the entire ceremony. Then we'll pack it all up when you are officially married. All this included in our rental rate, not something we charge extra for. Our Simple Ceremony System service is ideal for a wedding of up to 75 people. It includes everything needed to make sure your family and friends hear every word of the most important day of your life. ​Hosting more than 75 guests? No problem! Our Large Wedding ceremony rental sound system service can handle up to 250 guests inside or outside so no one will miss a word! It is the same service and package as our Simple Ceremony System, with two speakers instead of one. 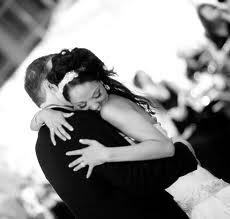 Ceremony planning and consultation: We have provided sound reinforcement at hundreds of weddings! All that experience will be available to you. So feel free to seek our advice as much or as little as you need as you plan your unique ceremony. A trained onsite sound technician who will oversee “mission control” throughout the entire ceremony. Top quality, professional grade equipment from Yamaha, EV, Mackie, Shure, Behringer and others that include: One full range powered speaker rental and stand, mixing board, wireless lapel microphone for officiant and groom (to pick up your vows), a microphone any readings, all cabling needed to operate the sound system, including extension cords. Of course we are going to deliver and set up the system and then pack it all up at the end of the ceremony. We have thought of everything you need so that you focus on your vows. We’ll make sure everyone hears them. Top quality, professional grade equipment from Yamaha, EV, Mackie, Shure, Behringer and others that include: Two full range powered speaker rental and stands, mixing board, wireless lapel microphone for officiant and groom (to pick up your vows), a microphone any readings, all cabling needed to operate the sound system, including extension cords. Does Your Wedding Ceremony NEED a Sound system? "The Top 4 Signs You Need a Sound System for Your Wedding Ceremony"
No electricity at your venue? No Problem! We have a sound system available for that! Our Simple Wedding and Large Wedding Cermony rentals are also available as a battery powered sound system. 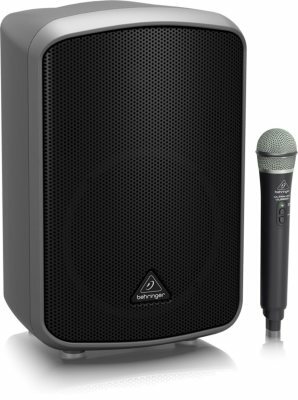 Each one comes compplete with battery operated speakers, battery powered mixer and battery powered wireless microphones. "WOW! 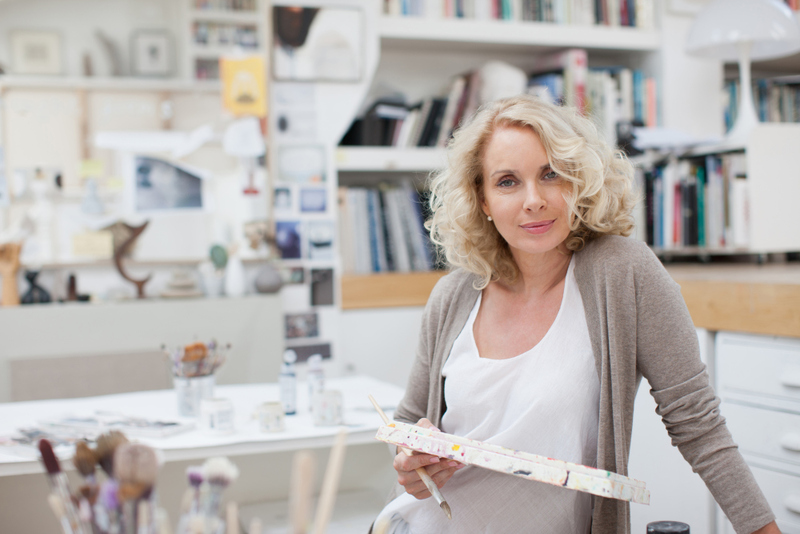 If you want someone personable, kind, caring, professional and experienced, THIS is your company. I worked with Jim directly for my wedding ceremony and he was absolutely amazing. Exceeded all of my wants and needs. He made everything about me, made sure I did not stress one bit, always replied as soon as I needed him, and when I did not hear from him for a few days (after the massive tennis ball hail storm) he was sure to call me and make sure I knew I was his priority. He did at one point mention that my venue in particular was very difficult to wire as the site was far from an electrical source but ended with a "you know what don't worry about it I have it handled"--and that he did! Absolutely nothing went wrong with my music and I wish I hired the company for my reception as well as my ceremony. He even met me as I was about to walk down the aisle and calmed my nerves! I remember exactly what he said-- "Tatiana, nice to meet you-- Jim from Narrow Gauge. I just want to let you know, everything is perfect out there and waiting for you. Your ceremony is going to be absolutely beautiful and you look great. Don't worry about anything I have everything set up just for you. Just breathe everything is going to be perfect." --And it was! It was amazing and everything I pictured it would be. I wouldn't recommend any other company. Thank you so much Narrow Gauge!! I am so glad I chose you!." Liz, mother of the bride. "Thank you so much for everything! You guys were amazing! The ceremony was perfect and we can't thank you enough for helping our friends sing/play during the bridal processional! We have been running sound for 20+ years. Narrow Gauge Sound started out as a wedding band, ( www.NarrowGaugeCountry.com) and we still do that. But, 12 years ago, many of our brides were asking us to provide sound equipment for their ceremonies. It started with one bride, then another , then 10 more, and before we knew it we were so busy we had to divide the business and expand. So we started out with wedding ceremonies. We expanded out into wedding receptions because Narrow Gauge, the band, is a high end, high dollar band, and many people who contacted us were on really tight budgets. They couldn't afford a band, or a DJ and were stuck with few options. We wanted to provide a proven service that could guarantee an amazing wedding reception for couples with really tight budgets. It has been very well received. Now we have expanded to private parties, school dances, business meetings, grand openings and anything that needs sound equipment! Narrow Gauge Sound is a Denver area sound system rental company that helps people throw amazing parties and save money. We also specialize in speaker and sound system rentals for wedding ceremonies. 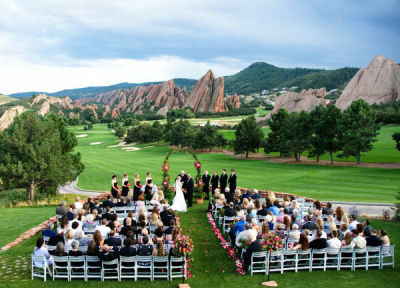 We provide DJ systems, speaker rentals, microphones and sound systems for a variety of events including wedding ceremonies, wedding receptions, private parties and other events in Pueblo, Colorado Springs, Monument, Larkspur, Littleton, Denver, Evergreen, Breckenridge, Dillion, Sedalia, Castle Rock, Morrison, Vail, Granby, Grand Lake, Fraser, Winter park, all the moutain area resorts and pretty much everywhere in Colorado. We even have a location in that provides sound system rentals in Tucson. Our prices include delivering the system, setting it up, training you how to use it and then picking it up at the end of the event.